For a low cover charge, you get 1 free drink, drink specials, entertainment, $5 game credit, and more. Includes everything with regular Gen Adm ticket, just at a great discount for buying 4 or more tickets together! Grab your friends - see you there! If you are looking to step it up a notch, upgrade to be VIP with a 2-hour open bar (9:00-11:00 pm - Svedka vodka drinks and Miller Lite included) with exclusive access to the Private VIP area and $5 in game credits. Ticket sales ended at: 2/18/2017 at 9:00 PM $25.00 Ended 12! Includes everything with regular VIP tickets, just at a great discount for buying 4 or more tickets together! Grab your friends - see you there! Includes everything with regular VIP tickets PLUS your own reserved table and bowling for 2-hours (9-11pm)! Groups of 6 - 8 only - must purchase all tickets for your table together. If you have a group of 12-16, please purchase multiple tables on separate orders. Does not include bottle service. Ticket sales ended at: 2/18/2017 at 9:00 PM $40.00 Ended 18! 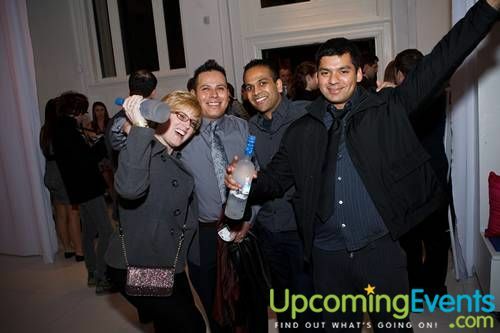 An amazing party full of entertainment, fun, great people, and VIP treatment at Philadelphia's premier entrertainment spot - the Young Professionals Ball IS BACK! The region's longest running event for area Young Professionals, grab your friends, family, and co-workers - you are in for a treat! 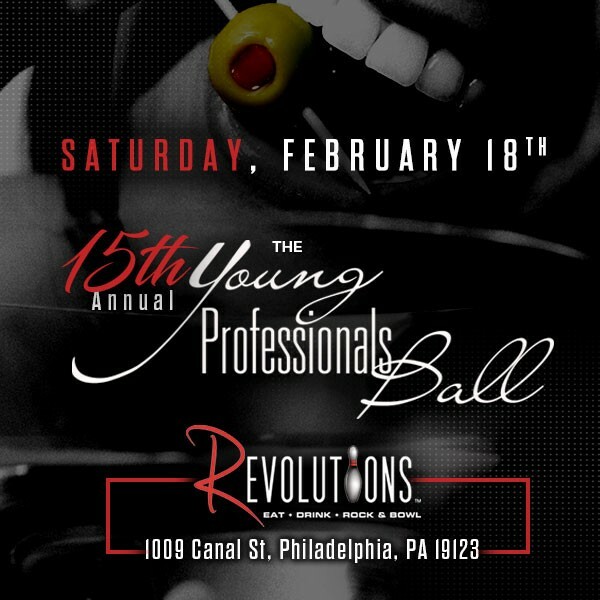 Enjoy an evening with hundreds young professionals at Philadelphia's most incredible new venue - Revolutions @ Penn Treaty. VIP Open Bar Ticket: 2-Hour VIP Select Open Bar from 9:00-11:00pm plus $5 in arcade-type game play and exclusive access to the private VIP area!! General Admission is complimentary and an Advance Ticket is REQUIRED to enter. VIP sold in advance on this website, no VIP sold at the door. Oh yes, it's gonna be an incredible night! Fashionable "Saturday Night in the City" attire. 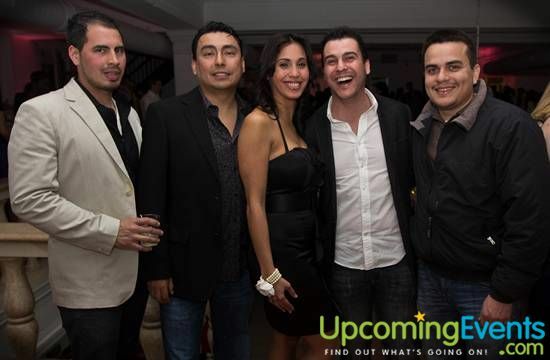 This is not a formal event - come dressed to party the night away! One thing is for sure... forget about going out for a typical night in the city at the same old place - there is absolutely no better place to be on Saturday, February 18th. FORWARD TO FRIENDS - see you there!! 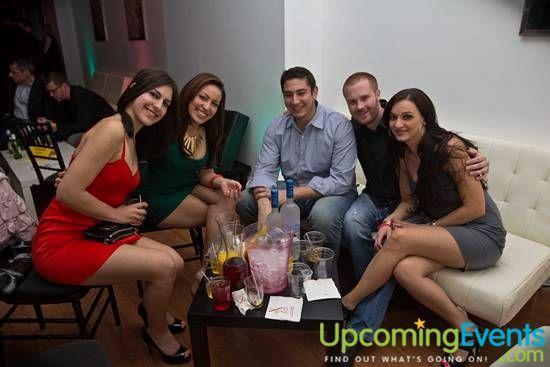 Revolutions at Penn Treaty is a 52,000 square-foot venue that is full of fun for everyone. The two-level complex features a 26-lane bowling experience including 12 private VIP lanes (please call ahead to reserve a lane), along with a full service restaurant, courtesy of Burger & Beer Joint. The first floor features a 21-and-over "club within a club," the first of its kind in the Revolutions family, with beverage specials courtesy of the Flair Bartending spectacle. Revolutions at Penn Treaty, our return to our Philadelphia roots, provides a great location for parties, meetings and every event in between!